Happy Spring, TOLLers! 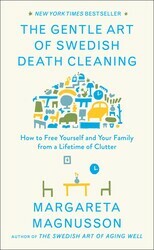 It’s time to clean out your closets, get rid of winter clutter, and maybe build a bookcase or two! 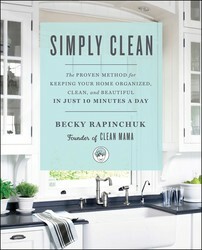 Yes, this task can seem very daunting, but we’ve rounded up the best books filled with creative, easy, and affordable ways to keep your home, desk, and car clean throughout the season. 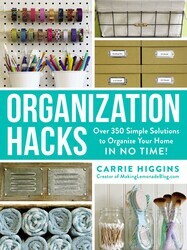 Ready, set, go get organized! The days of simply wanting to ‘get the look’ are over: nowadays, we are more interested in achieving a smooth-running and contented home life, and it’s not purely the aesthetics of our interiors that we’re pondering. Key to this more considered approach to homemaking is the storage of all life’s paraphernalia, from everyday essentials (kitchen equipment, bicycles) to seasonal items (skis and suitcases) and, of course, all those bits and pieces you don’t need very often but still want to hang on to (wedding photographs, grandma's china). 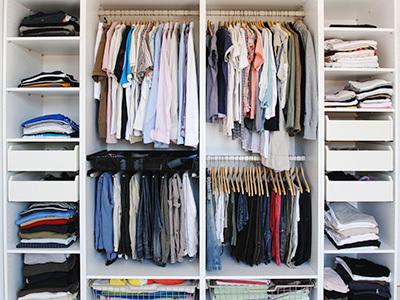 We have more stuff than ever before, so where (and how) should we keep it all? 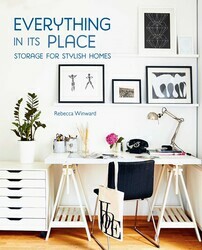 In 'Everything in its Place', Rebecca Winward demonstrates how our experience of every room in the house can be improved through a canny choice of storage solutions that balance form and function.